If you have pain after walking or working out in the back of your heel, you may have Achilles Tendinitis. At Beaver Valley Foot Clinic the first thing we do to treat Achilles tendonitis is determine if it is irritated vs really torn. Some injuries actually require surgery, so it is important to see where you injury falls before you get an Achilles Tendon rupture. The good news is that very few people actually go on to need achilles surgery. We have some state-of-the-art treatments available you can not find for 150 miles! Quick clinics are fine if you want to receive an Xray and an Ibuprofen. However, neither of these address the issue. Achilles Tendonitis is a soft tissue injury and an Xray wont show the whole story. If there is suspicion of an Achilles tear or achilles tendon rupture, We have the cabability to do an immediate ultrasound that can assess the extent of soft tissue injuries. Immobilization is required for tissue healing. 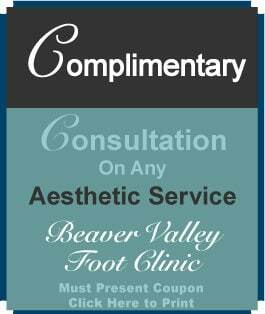 At Beaver Valley Foot Clinic all of your needs are considered when choosing the best treatment option-your age, your job, your activity level, your pain level…there are always options. If your Achilles Tendinitis has become chronic-that is been present 6 months or more – and has been resistant to other treatments, there is still hope! ESWT is available and helps heal even long term achilles tendonitis. FDA approved to treat Chronic Plantar Fasciitis, it has long been known that these two structures are very similar in both structure and function. Although an off abel use, we have had great success treating the achilles tendon with a single 20 minute ESWT procedure. The key is using a high intensity ultrasound guided machine. This allows us to jump start your healing process in one treatment. Emergency and same day appointments available even for new patients or new problems! Caring competent staff who get to love our patients! If you were wondering, “what is the largest human body tendon? ” Achilles would be the answer. Where is the Achilles tendon located? The insertional Achilles tendon heel location is behind the foot, at the back of the heel. The “calf” is made up of the Gastrocnemius muscle belly and the Soleus muscle. The muscles end toward the bottom of the leg in the back, and become tendons. These two muscles’ tendons combine to form the Achilles tendon, which inserts into the back of the calcaneal bone (heel bone). So if you ask,” where is it achilles heel location?’ The akele tendon is between the calf muscle and the heel bone. What is achilles injury?- Pain in the heel of my foot. Treatment is determined by the location and extent , and also the age of the injury. The back of heel pain treatment can range from simple heel pain treatment at home, like icing, heel pain treatment home remedies and heel pain treatment exercises; to more involved treatment for heel pain, like injections or orthotic heel inserts. Treatment for plantar fasciitis heel pain and achilles heel pain treatment is very similar. The basis for treatment for plantar fasciitis heel pain and achilles heel pain treatment starts with ways to reduce the inflammation, immobilize and rest the area, then promote healing. 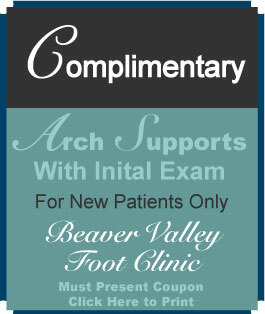 Here at Beaver Valley Foot Clinic, we attack heel pain treatment from many angles all at once. Achilles tendinitis can be caused in severl different ways. Some you can control, and others you can’t. See your Podiatrist at the first sign of injury to prevent worsening of symptoms and making some changes that can remove the causes you can control. Younger active people, runners, marathoners often suffer from Noninsertional Achilles tendinitis. This is often characterized by a soft tissue “lump” on the back of the heel, several centimeters proximal to (above) the heel bone (calcaneous). The fibers in the substance, or middle of the tendon can get small micro tears from overuse, as they start to tear and break down they swell and thicken, forming that oh so familiar painful lump. 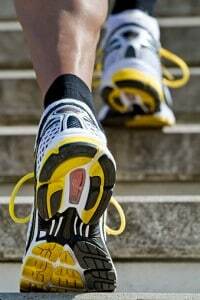 Pain can range from sore achilles tendon in the morning to a full rupture of the tendon. 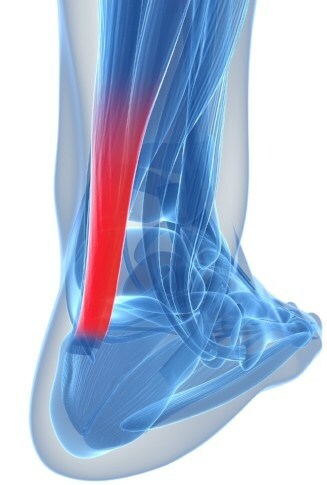 The Achilles tendon begins below the calf muscle and runs down the back of the lower leg. Pain where the lower portion of the tendon inserts into the calcaneous bone is called Insertional Achilles tendinitis which is not necessarily activity related. It can be found in sedentary and overweight persons, often with biomechanical or shoe related factors. Our goal is to get you comfortable and back to your normal activities ASAP! The initial treatment is geared toward reducing swelling, which will decrease the pain. Although pro athletes and couch potatoes may choose different treatments, everyone wants it to stop hurting! Insertional Achilles tendinitis is also treated much differently than noninsertional Achilles tendinitis. Your Podiatrist will suggest a combination of different therapies based on your goals and abilities and physical condition. Rest: This gives the tissue time to heal. The type of rest needed depends on the severity of the symptoms. In mild cases, it may mean reducing the intensity of a workout, but severe cases might require complete rest for days or weeks. Compression devices: Ankle supports and elastic wraps can aid recovery by taking the pull off the tendon. Elevating the foot: Keeping the foot raised above the level of the heart can reduce swelling. Pain relief: NSAIDS- Nonsteroidal anti-inflammatory drugs like Naproxyn, Alleve, Duexis, or ibuprofen, can take down pain and swelling. Injectible steroids: Usually not recommended into the Achilles tendon because research has shown an increased chance of tendon rupture with injected Cortisone shot for achilles bursitis. ESWT (see section below ) Extracorporeal shockwave therapy : High-energy shockwaves are used to stimulate the healing process. Results have not been consistent, but if other measures do not work, it might be worth trying before opting for surgery. Surgery can repair the damage sustained by the tendon as a result of Achilles tendinitis. The American Academy of Orthopedic Surgeons (AAOS) only recommends surgery if the pain continues for 6 months or more. Most often used for primary repair of a ruptured tendon. The most common procedure is gastrocnemius recession. This involves lengthening one of the two muscles that make up the calf, to give the ankle a wider range of motion. What is Extracorporeal Shockwave Therapy (ESWT, Shockwave Therapy)? Shockwave is the Gold Standard non-invasive treatment for chronic achilles tendonitis and many other chronic joint injuries. ESWT delivers many micro bursts of high intensity ultrasound energy to the damaged tendons crossing the ankle joint—it is these tendons which cause symptoms in almost all patients. It’s interesting that this ultrasound is exactly the same type used by ultrasound machines to image babies and abdominal organ, but the ultrasound is not the treatment. The treatment is guided by the image formed on the ultrasound. This might seem confusing, but ESWT uses electromagnetic technology to generate shock waves. Clinically, the inflamed scar tissue is broken down by the shock waves, allowing these tendons to heal properly. Soon the symptoms go away. We typically recommend that our Plantar fasciitis Mt Lebanon patients opt for ESWT after exhausting common options such as NSAIDS (ibuprofen) and rest. How, exactly, does ESWT work? We firmly believe that ESWT uses one of the most effective (and indeed fascinating) mechanisms for treating achilles tendonitis and other chronic injuries. 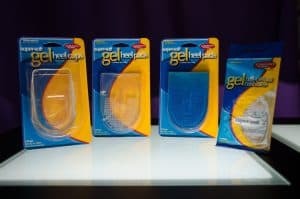 In an over-use injury like Achilles tendonitis, the tendons and ligaments of the affected joint become inflamed and eventually damaged over time due to continuous use. Effectively, these tendons and ligaments never get a chance to heal properly. Shockwave therapy purposely causes small amounts of damage, known as micro-trauma, to the precise area where the tendons insert into the bone. —after all, why would anyone want a treatment which causes more damage? The fact of the matter is that Shockwave therapy actually triggers the body’s own natural healing response. Basically, it jump starts the healing process. Additionally, it accomplishes two other specific goals. 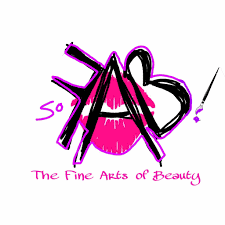 The first is increased collagen production. Tendons and ligaments are made primarily of collagen, and in an over-use injury this collagen gradually breaks down. The micro-trauma caused by Shockwave actually stimulates collagen production as part of the triggered healing process. The second involves increased blood flow to the area. ESWT treatments increase blood flow to the injured area, and any injury needs good circulation in order to heal properly. Note that ligaments and tendons typically have very poor blood flow, which nearly always causes some difficulty in healing, and ESWT directly addresses this. We recommend ESWT for nearly all of our elbow pain Pittsburgh patients for these reasons and its overall effectiveness. What can I expect during my Shockwave Therapy Treatment? What’s it like? Before any procedure of any kind is started, a thorough history is taken and a thorough exam is performed. Once you’ve been cleared for Shockwave therapy, you’ll be prepared for treatment—the treatment area is cleaned and local numbing medication such as novocaine or lidocaine may be used. Shockwave is generally very well tolerated, and local numbing isn’t even needed in most cases. The elbow is placed on a specialized “water bubble” which is part of the ESWT generator. This is important, because ultrasound energy travels best through water. Many small pulses of ultrasound energy are delivered to the tendons and ligaments of the elbow and the treatment is concluded. The patient will hear a clicking sound as the shockwaves are generated, and usually feels no discomfort. The treatment usually takes under 20 minutes. Does it work? How successful is it? Yes, Shockwave therapy has excellent success rates when compared to other common treatments, and has saved many patients from invasive surgery. Several research papers have estimated ESWT’s success rates to be as high as 80%. In this case, success is defined as a “good” or “excellent” outcome, which means that the patient has normal function with some minor pain, or normal function without any pain at all. It often amazes patients that several extremely common treatments such as cortisone injections have practically no research supporting them, and their value is questionable at best. Dr. Teimouri in Bridgewater has been in practice for over 22 years and is very satisfied with these rates of success. Does ESWT hurt? Is it painful? No. Patients feel either minor discomfort or nothing at all. Our patients with tennis elbow in Pittsburgh are usually amazed at how comfortable treatment actually is. Who is the ideal candidate for ESWT? Any patient who has tried the most basic treatment measures (such as NSAIDs and rest) without relief is an excellent candidate for Shockwave therapy. Any patient considering an invasive surgical procedure should certainly consider all non-invasive procedures such as ESWT first—we strongly recommend Shockwave to many of our achilles tendonitis Moon patients. Is there anyone who shouldn’t get Shockwave Therapy? No. While there will always be individual patients who don’t qualify for a specific procedure, ESWT has been used successfully on all major patient populations. See the question below. I’ve had cortisone (steroid) shots and they didn’t work. Is ESWT still OK for me? ESWT is generally a good option for achilles tendonitis patients who didn’t achieve full relief with injections. In fact, Shockwave therapy has eliminated the need for further injections in some patients. The only notable exception are those who have had many injections at the same site, or who have been on oral steroids for long periods. Each patient is different and there are no absolute rules, so make sure you discuss this issue with our physicians. Are patients generally satisfied with Shockwave Therapy? Yes. In fact, many of our patients with achilles tendonitis in Pittsburgh have been happy enough to recommend it to others. Is ESWT a kind of surgery? Is it invasive? ESWT does not break the skin at any time and is not considered surgery. Shockwave is a non-invasive treatment—this is one of the primary reasons physicians prefer to offer it as an option. Is ESWT a good option for people who have already had failed surgery for tennis elbow? Yes. A failed surgery can complicate any subsequent treatments: this is true for any surgery, anywhere in the body. However many patients with a history of failed surgery get exceptional results with Shockwave therapy. What are the side-effects? What are potential complications? ESWT in NYC isn’t an invasive procedure and therefore has very few unintentional effects and complications. Most patients experience some soreness for several days after the procedure with no other ill effects. Our achilles tendonitis Bridgewater patients frequently report this as the full extent of their side-effects. This is another primary reason our clinics recommend Shockwave therapy. How should I prepare for a Shockwave Therapy treatment? No special preparation is necessary prior to ESWT in Philadelphia PA.
Are there any medications I should stop taking before my ESWT treatment? Not generally. We’ll review your medications as we would prior to any procedure to make absolutely certain. For example, patients taking Coumadin are usually asked to come off this medication for 7 days before the procedure date. As a rule, no medication type disqualifies a patient from Shockwave therapy. As always, our physicians will review your medications during your examination. What should I do after my ESWT procedure Moon Twp? What’s the after-care of ESWT, North Hills? No specific after-care is needed. Sometimes patients use heat or ice as needed, but neither is necessary. When can I expect maximum results? This time period varies, but patients generally experience significant relief by the 6th to 12th week. Symptoms gradually lessen in the weeks and months after Shockwave therapy, and often disappear completely. How soon can I go back to normal, everyday activities like driving, walking, and doing household work? How soon can I go back to vigorous, higher impact activities like sports and weight lifting? We recommend that our patients with achilles tendonitis in Coraopolis wait for 14 days before vigorous activity in order to be absolutely certain of an optimal outcome. What’s the absolute best outcome I can expect from Shockwave? Complete relief of achilles tendonitis symptoms and return to all normal activities without restriction. What’s the absolute worst outcome I can expect from Shockwave? No procedure succeeds 100% of the time. For example, a patient with several failed surgeries who has extensive joint, tendon, and ligament damage may experience no relief at all. This being said, ESWT cannot make achilles tendonitis (or any other condition) worse. Does insurance cover ESWT? How much does it cost? Our staff will check your insurance eligibility. Many of our achilles tendonitis Seven Fields patients have had their insurance plan cover this procedure. Is ESWT approved by the FDA? Since ESWT isn’t a surgical procedure or a drug, it doesn’t have to be FDA approved. The National Institute for Clinical Excellence (NICE) reviewed the procedure in 2015 and approved Shockwave therapy for general use in all medical facilities. What else is Shockwave Therapy used for? ESWT was originally developed to break up kidney stones, and was soon adapted to treat other conditions. Today Shockwave therapy is commonly used to treat achilles tendonitis, plantar fasciitis and other soft-tissue injuries. In theory, ESWT can be used to provide a broadly effective treatment in any over-use injury involving tendons and ligaments. Am J Sports Med. 2006 May;34(5):733-40. High-energy extracorporeal shock wave therapy as a treatment for insertional Achilles tendinopathy. Case control study; Level of evidence, 3. Thirty-five patients with chronic insertional Achilles tendinopathy were treated with 1 dose of high-energy extracorporeal shock wave therapy (ESWT group; 3000 shocks; 0.21 mJ/mm2; total energy flux density, 604 mJ/mm2), and 33 were treated with nonoperative therapy (control group). All extracorporeal shock wave therapy procedures were performed using a local anesthesia field block (LA subgroup, 12 patients) or a nonlocal anesthesia (NLA subgroup, 23 patients). Evaluation was by visual analog score and by Roles and Maudsley score. One month, 3 months, and 12 months after treatment, the mean visual analog score for the control and ESWT groups were 8.2 and 4.2 (P < .001), 7.2 and 2.9 (P < .001), and 7.0 and 2.8 (P < .001), respectively. Twelve months after treatment, the number of patients with successful Roles and Maudsley scores was statistically greater in the ESWT group compared with the control group (P > .0002), with 83% of ESWT group patients having a successful result, and the mean improvement in visual analog score for the LA subgroup was significantly less than that in the NLA subgroup (F = 16.77 vs F = 53.95, P < .001). The percentage of patients with successful Roles and Maudsley scores did not differ among the LA and NLA subgroups. Extracorporeal shock wave therapy is an effective treatment for chronic insertional Achilles tendinopathy. Local field block anesthesia may decrease the effectiveness of this procedure.